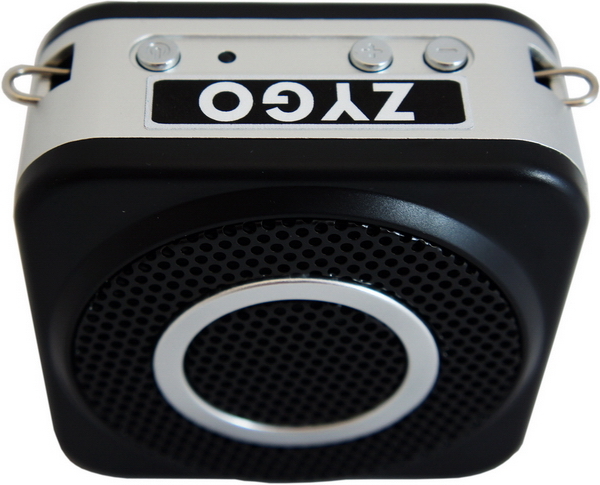 Zygo Wireless Voice Amplifier - Augmentative Communication Consultants, Inc.
Great sound amplification with no strings attached. 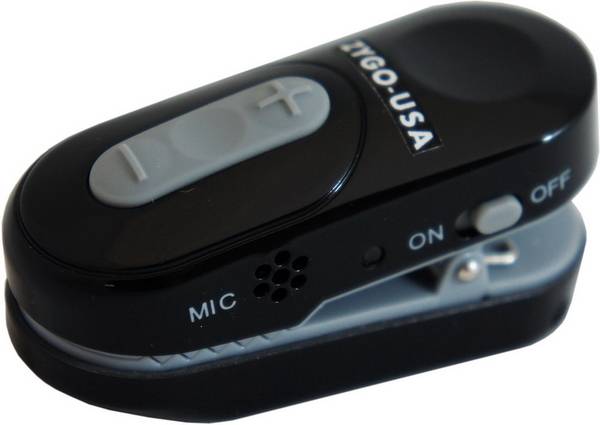 The ZYGO Wireless Voice Amplifier uses an adaptive 2.4GHz digital technology with an auto-pairing system to push sound from the clip-on lapel microphone to the 12 watt remote speaker, resulting in loud, clear, high quality voice amplification. The Wireless Voice Amplifier is compatible with the wireless mic and wired microphones. Use the removable clip to attach the Voice Amplifier to your belt so the sound projects forwards, or set the speaker farther away so that it is easy for your listeners who may not be right next to you. The system comes with two microphones. One is a clip-on wireless microphone transmitter with on/off switch, volume up/down buttons, external microphone input jack 3.5mm, mini-USB 5VDC input for charging, and a slot for a lanyard to connect. The second is a wired headset microphone that can be plugged into the amplified speaker, or it can even be plugged into the wireless microphone transmitter so you can still set the Voice Amplifier in front of your listener up to 65 feet away! The Wireless Voice Amplifier has a high capacity rechargeable Lithium Ion battery that provides up to eight hours of operation from a fully charged battery. It can also be used to power other devices from a USB port. The transmitter has its own rechargeable Li-Ion battery. This system comes complete with amplified speaker, wireless clip-on lapel microphone transmitter, headset microphone, belt clip, neck strap, power charger, and USB cable (for charging wireless mic). Click the button below to add the Zygo Wireless Voice Amplifier to your wish list.